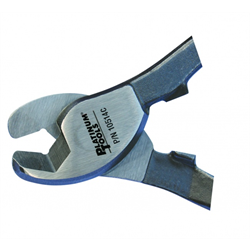 The Platinum Tools CCS-6 cable cutter is perfect for voice, data and video installers. It's designed to cut copper, aluminum and even steel center conductor coax. Use it on CAT5, CAT6, CAT6A, RG59, RG6 and all kinds of various cables.